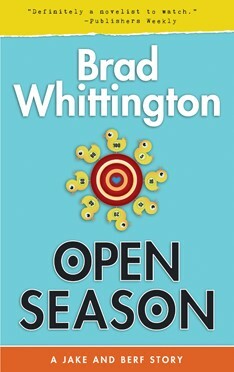 Take this simple test to determine if you should read Open Season. Wouldn’t you like to hear this ad for Open Season on the radio? Berford Oswald Wiggins follows a Code. That’s why he’s about to marry the wrong woman. Again. When Berf finds himself accidentally engaged to Amelia for the third time, he leaps from the frying pan of Austin and absconds to the Payne ranch in Bolero, Texas. But far from being the blissful autumn retreat of Berf’s dreams, the ranch abounds with plotters and strategerists. There’s the battle to the death for dominance in Bolero society, the secret search for Pancho Villa’s lost treasure, and the attempt to sell Tiny—a stud bull with performance anxiety. Berf’s arrival starts a chain reaction that disrupts the delicate balance of the four couples staying at the ranch for the weekend. Suddenly it’s open season on four confused guys. If he can’t set things straight, Berf will be married to the wrong woman before the year is out. The first in a new series, Open Season stirs the inanity of the Jeeves stories by P.G. Wodehouse with the Western Code of the Sackett stories by Louis L’Amour in a zany frolic of misadventure and misunderstanding. 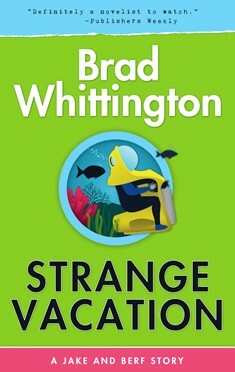 Berford Oswald Wiggins vows to take his best friend on a killer vacation. And a Wiggins always keeps his word. Berf loves Jake like a brother, but not like a brother-in-law. After all, he wouldn’t wish his sister on anyone, least of all Jake. When Berf’s warning falls on deaf ears, he falls back on The Code and serves as Jake’s best man. 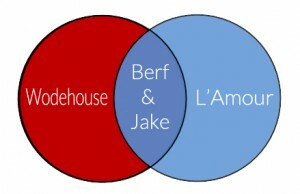 The ill-fated marriage scarcely lasts two hours before going south, and Berf decides he and Jake should do the same. But the trip is far from an idyllic escape. A series of bizarre accidents gets Berf to thinking of Spider, an extreme sports freak who recommended this special Cancún deal. Did Spider ever come back from his Caribbean vacation? And when a fellow traveler drops dead out of a clear blue sky, Berf suspects they might not be going home next week. Or ever.